Well, there have been a lot of late nights and early mornings these past few weeks as I prepared for exams and the National Agri-Marketing Association’s (NAMA) student competition. While our product didn’t make it out of the first round, the fact that we made it out of Illinois (after 20 years without a NAMA program at my university) is outstanding. After seeing some of the presentations in the second round I was amazed at how much our industry has to offer. There are now “100% seedless lemons, 100% of the time” (a Cali Poly project) and dairy herd tracking apps for iPhones and Droids. In our presentation of an automatic grain bin lid opener (see the Canadian version here), we thought that it would be a stretch to have farmers incorporate a mechanized system just to open a lid and we thought a lot about the technologically savvy sector of the industry. 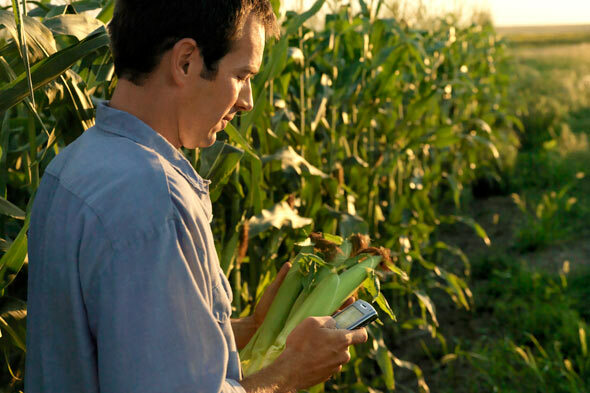 But now I wonder, how much longer will it be until farmers are truly considered to be technologically savvy? It doesn’t get much more savvy than having GPS systems in their equipment, relying in smart phones for weather updates and market prices, and now to sort cattle, off-site using an “app.” Today, agriculturalists are tweeting and Facebooking and blogging. I think there is strong evidence that we have arrived at the technologically savvy era of agriculture.